Darjeeling Express began life as a dinner for 12 guests at home - Indian food, lovingly cooked from family recipes going back generations. 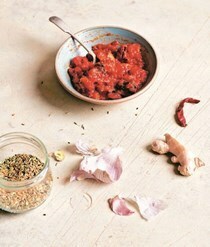 The recipes in this book are homage to Asma's royal Mughlai ancestry and the busy streets of Kolkata, where she grew up, resulting in a melange of street food such as papri chaat (fried dough with chickpeas, yoghurt and chutney) alongside royal recipes spanning Calcutta in the east to Hyderabad in the south. Platters of dishes boasting texture and flavours encourage you to gather in the style of the traditional `dawaat' (feast). The kitchen at Darjeeling Express is run by an all-women team and champions home-style food cooked with passion. The recipes are split between simple mid-week meals for two, family feasts for quick and easy cooking with less spice, feasts for friends for when you want to show off a little and celebratory feasts. 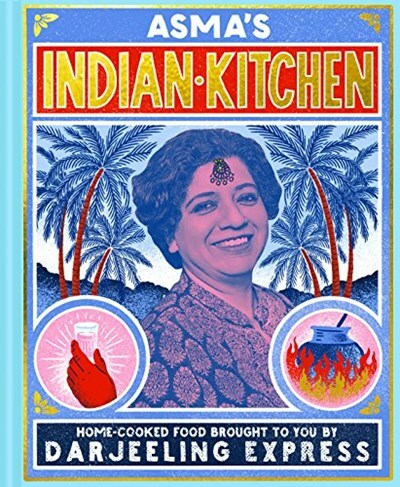 Many of the recipes are vegetarian and feature classic feasts such as mattar paneer (pea and paneer curry), aloo dum (spicy potatoes) and raan (a spiced leg of lamb) alongside lesser-known recipes unique to Asma's royal family. The book is more than just a collection of delicious and accessible recipes, it is a celebration of heritage, culture, community and quality.